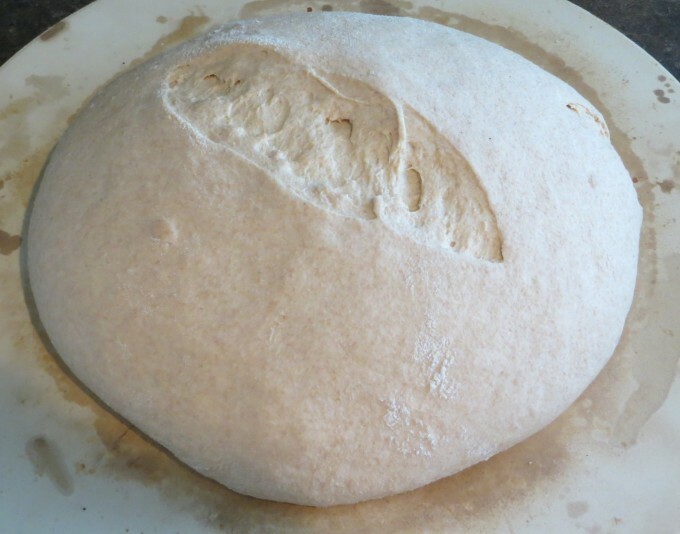 My first experiences baking home-made sourdough bread with starter and white flour were such a success it was time to switch to whole wheat flour. There were a few subtle differences but the results were superior to earlier loaves made with white flour. Perhaps it is simply experience and refining the process. 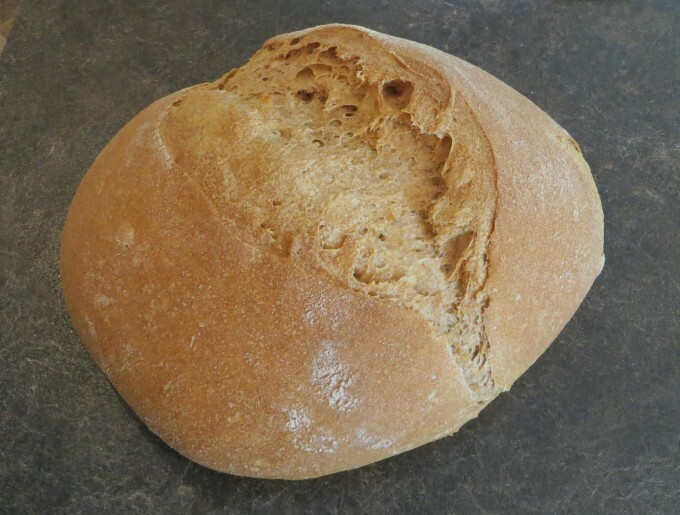 Here is a short note to add to the previous How to Make Your Own Sourdough Bread article published recently. 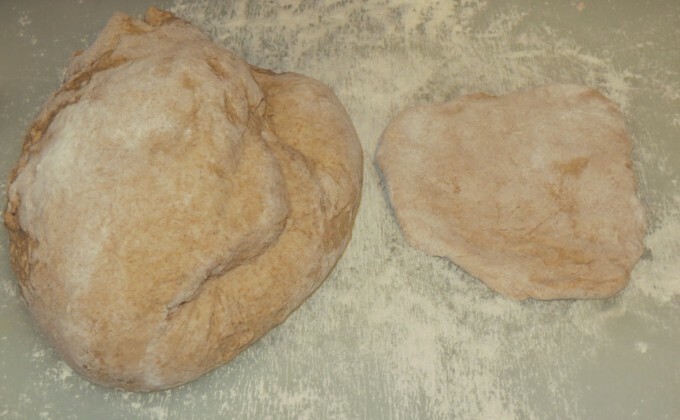 Knead dough for 5 – 10 minutes before trying the “stretch test” /membrane test or windowpane test. 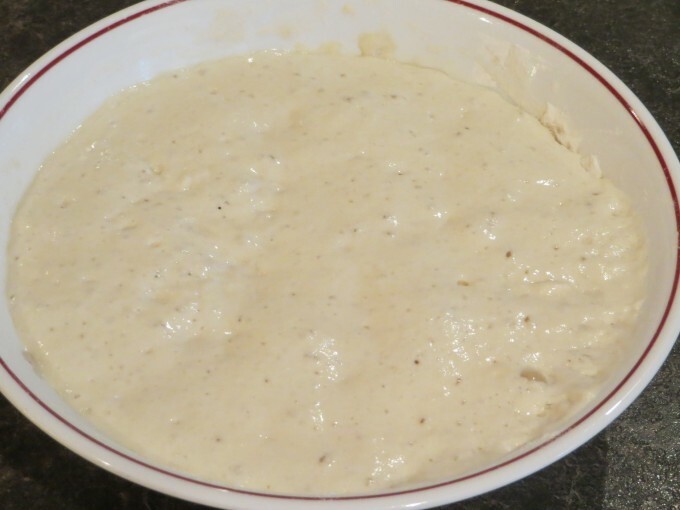 Simply take about 4 tablespoons of dough and work it by stretching like making a pizza dough. 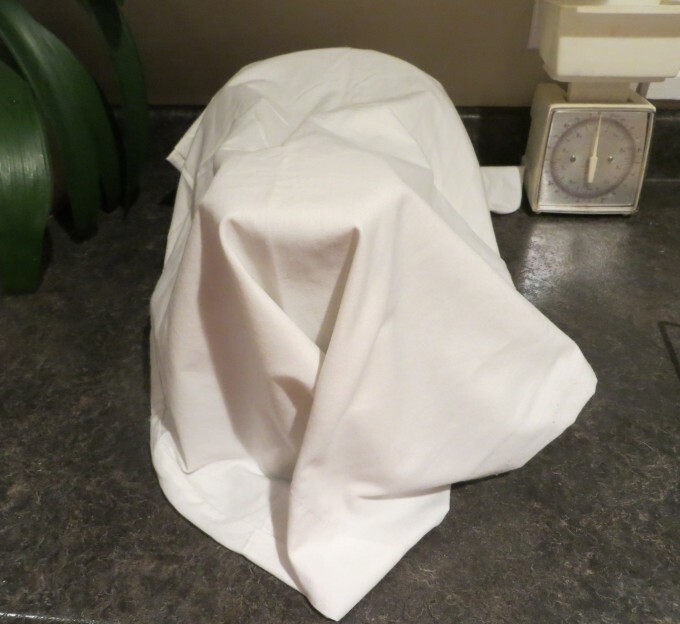 The Windowpane Test is the best way to know if the bread dough has been kneaded enough. If it breaks or pulls apart, add back to the dough and knead another 4 – 5 minutes and try again. In later bread baking I have mixed half each whole wheat / white flour with success. Fun to experiment! 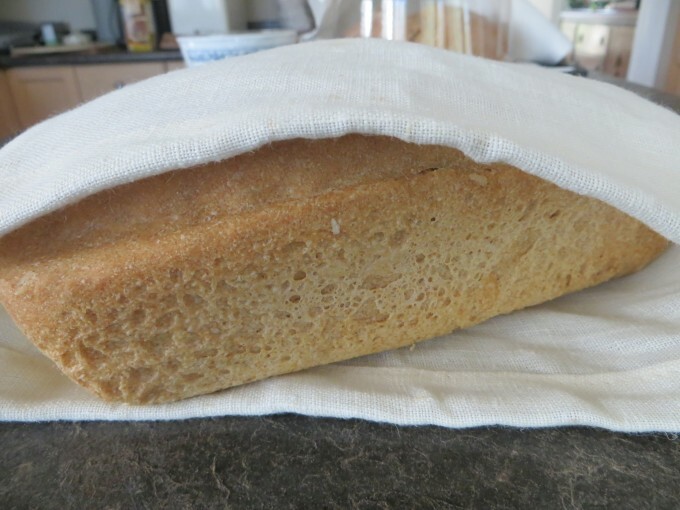 Heavily flour your cloth to prevent the dough from sticking to it. 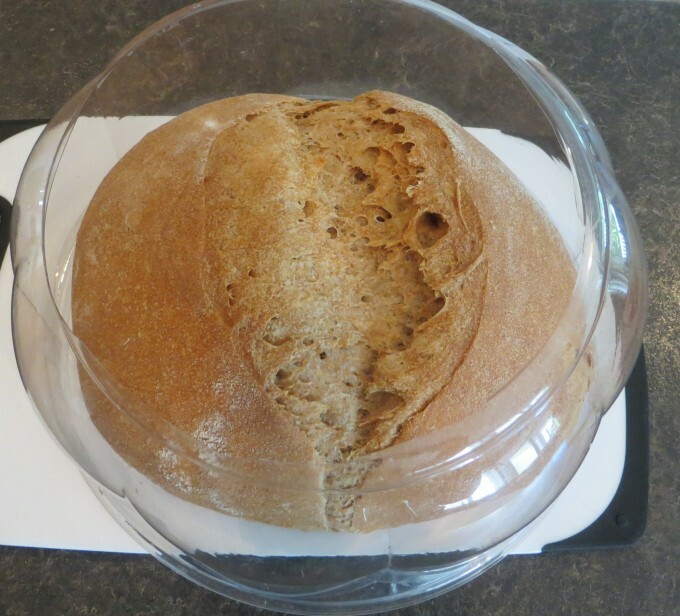 During rising of the dough for the large round sourdough loaves I use a hard plastic cake lid with the top cut off. This is then covered with a tea towel or cloth and works just fine. This whole process has been so simple and a lot of fun. Perhaps time to retire the bread making machine. Nothing compares to enjoying a slice of freshly baked sourdough bread. If you are having concerns – persevere – it’s well worth it! 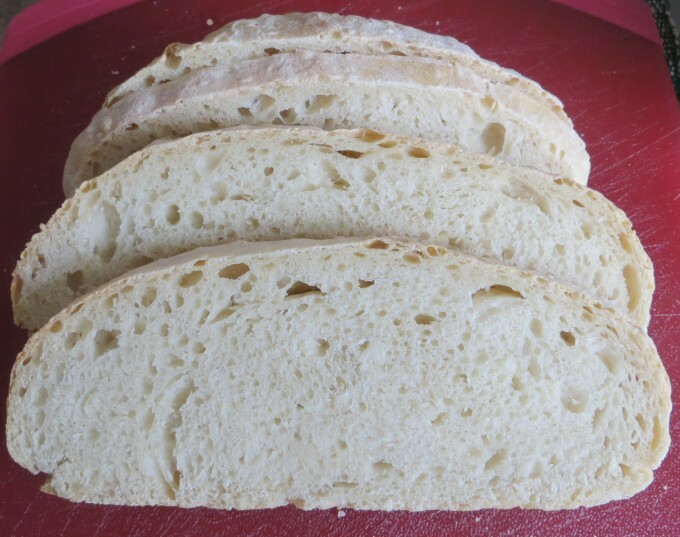 The whole wheat sourdough bread received rave reviews all round!